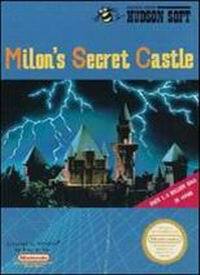 Milon's Secret Castle original NES Nintendo Game cartridge only - Cleaned Tested and Guaranteed to Work! Shhh lean in close, its a secret! Love this game. I need to get the manual for it. Great shape. Just needed some cleaning! Great game, great price, nice clean cart with no label damage. Interesting take on the platformer genre. Fun and challenging. I loved this game all those years ago. Played it with my kids and can now play it with the grandkids. 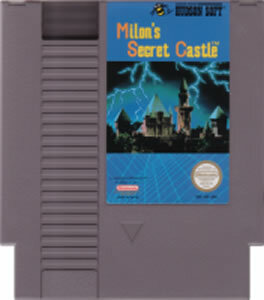 One of my favorite long play games from the NES. The game does not start at stage 1 and then move up. It is more like Goonies 2, you can start anywhere you want for the most part. There are hidden items all over so shoot the walls and platforms. Look for music boxes which are a side quest that you have to collect as many musical notes as you can. But don't pick up flats they will minus your score. Honeycomb items will restore your life completely and extend the health bar. 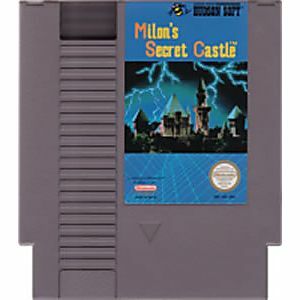 If you are looking for more info check out the fan site, search on google for "Milon's Secret Website" (sorry no web links allowed) for a manual, game genie codes, and help in the game. This is a classic, old-school NES game! It forces a lot of trial and error and can be quite challenging! I would recommend looking up a FAQ on gamefaqs to help get you started. Here's a tip: when you die, you can continue your game by holding left and pressing start. This is an old convention that a lot of Hudson game used. I just got 3 of these for 2.97.I think the price can be cheaper.The game is an ok game but im not kidding its IMPOSSIBLE....Cheak out JamesNintendoNerds review on Youtube :D Thank you Lukie Games for the Nes things i ordered!!!! !